If you want to save the location temporarily, e.g. you want to save the location, where you parked your vehicle in the area you do not know, there is no need to add it to favourites and then delete it. Just tap on an arrow in the navigation screen and the action menu will appear. Tap on Save current position to save it. 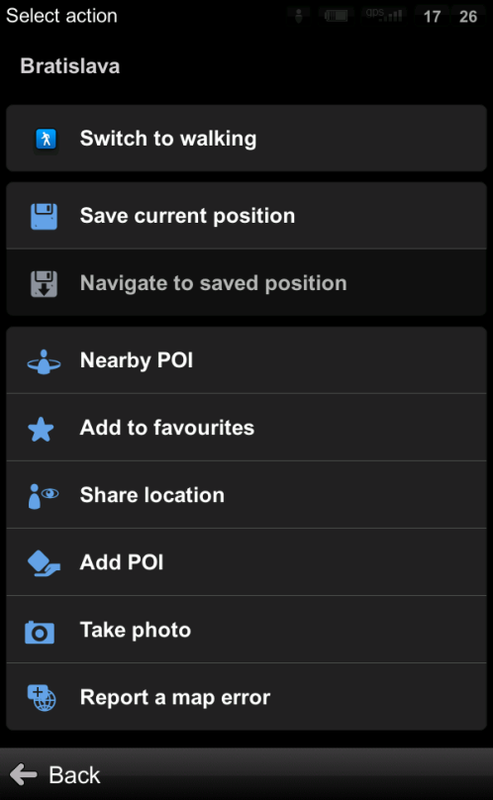 If you want to navigate to saved location later, again tap on the arrow in the navigation screen. In the action menu select Navigate to saved position.